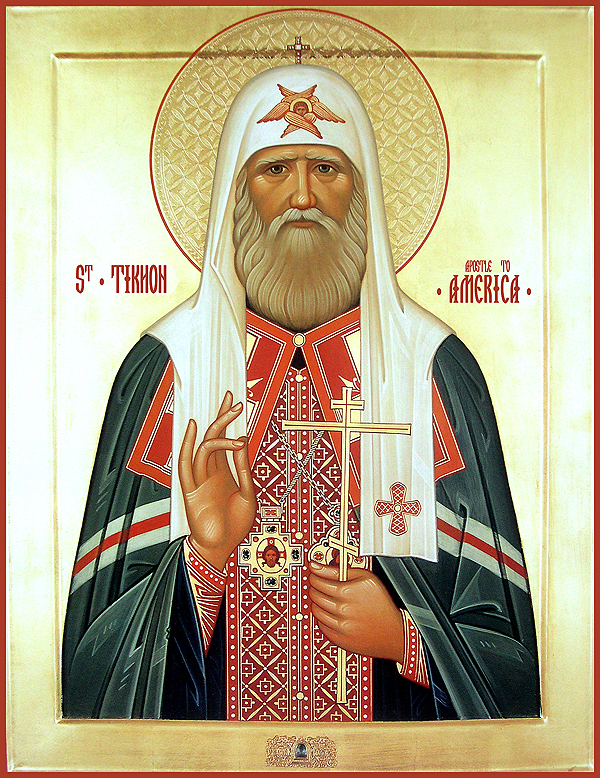 Saint Tikhon was born as Vasily Ivanovich Belavin on January 19, 1865 into the family of Ioann Belavin, a rural priest of the Toropetz district of the Pskov diocese. His childhood and adolescence were spent in the village in direct contact with peasants and their labor. From his early years he displayed a particular religious disposition, love for the Church as well as rare meekness and humility.